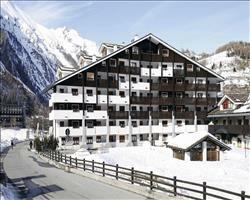 Enjoy a flexible and often cheaper holiday in La Thuile with one of our self-catering apartments. If it’s a convenient location you’re after, look no further than the Planibel Apartments – they’re less than a minute walk to the ski school meeting place and nursery slopes (ideal if anyone is taking lessons) as well as the ski hire shop and you can ski to and from the complex. By booking self-catering accommodation, you have the luxury of eating when, what and where you like. With no set meal times or menus and the chance to eat in or out you can really tailor your holiday to suit you. To top it off, you have home-from-home accommodation to yourselves, which means you can really relax in the company of your nearest and dearest. Take the relaxing to another level in one of our luxury apartments where you can enjoy wellness facilities like hot tubs and saunas. Most of our La Thuile apartments come in a package with flights (select your nearest airport below) and transfers, making booking as easy as possible. These packages are 100% ATOL protected and are available for the best prices around. Self-drive packages including channel crossings are also available for anyone planning to drive to the Alps as well as accommodation-only deals if you’re travelling independently.